This was a one-night-only show, but here are a few pictures, one from each dance, in the order I discuss them in my CVNC review, published June 27, 2015, with the title ADF and NCDF Present the Zeitgeist: Here and Now. Leah Wilks, left and Anna Barker in Barker’s IT’S NOT ME IT’S YOU, at ADF 6/25/15. Photo: Grant Halverson. Kristen Jeppsen Groves’ [ME]THOD, at ADF, 6/25/15. Photo: Grant Halverson. 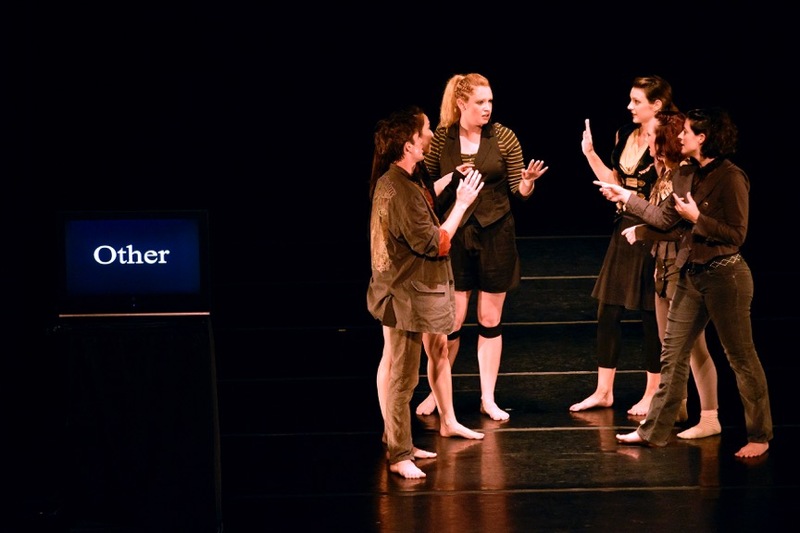 Karola Lüttringhaus and Rachael Crawford Goolsby, front, in Lüttringhaus’ …DANN VON DEINER HAND, at ADF 6/25/15. Photo: Grant Halverson. Derrick Ivey, left, and 2 of the 6 women in Shaleigh Comerford’s DEDICATED, at ADF 6/25/15. Photo: Grant Halverson. 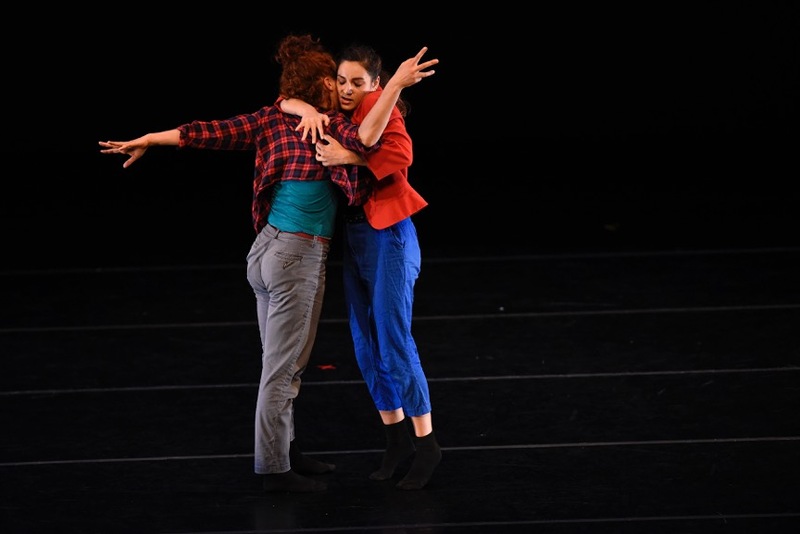 Last night saw the premiere of ALÓ, a 40 minute dance-theater work by ShaLeigh Comerford in collaboration with the dancers of ShaLeigh Dance Works, as the first season of locally-made dance put together by Durham Independent Dance Artists continues. Along with the excited buzz that always precedes the first appearance of any art work, there was a warm, happy, community feeling in the room, with many of the DIDA artists present, along with generous supporters like Bepi Pinner and Boleyn Willis-Zeger, whose Ninth Street Dance and Legacy Studios, respectively, are so important to Durham’s burgeoning dance scene. ALÓ will repeat tonight at 8 pm in the ballroom of the Reality Center, corner of Lamond and Gregson. Very unusually, this is a pay-what-you-will performance. Having enjoyed the dance last night, I can tell you it is worth a donation. Strong concept, some memorable images, lots of lovely dancing. Sorry I don’t have a photo, but you can read my CVNC review here.